‘If you’re at home and you want to make yourself a nice cup of coffee in the morning, and you turn on the stove but there is no gas, then you know that something must have happened in Novy Urengoy.’ What connects Europe to a city in the polar circle? The Gazprom company exploits the gas fields around Novy Urengoy. More than half of the natural gas extracted in Russia is produced there. A substantial portion of this gas is exported to European countries. 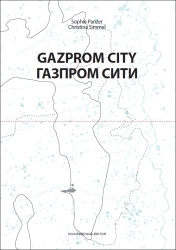 GAZPROM CITY – a report about life at the other end of the gas pipeline.